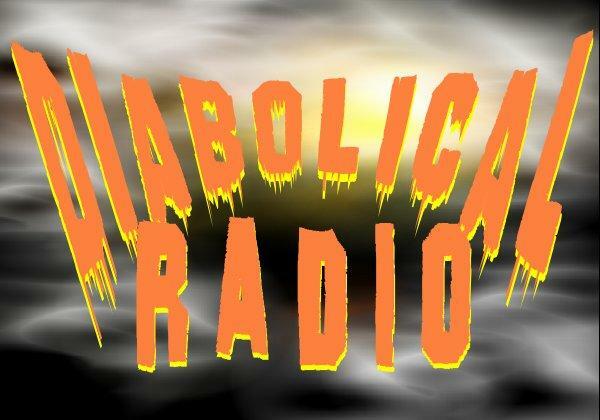 Diabolical Radio: Didn't you have a radio show or something??? Didn't you have a radio show or something??? Yes. There was - and still is - a radio show known as Diabolical Radio. In fact, it was going strong again until the first of the year. What happened you ask? Well, BlogTalk Radio decided to shake things up and make it impossible for their "favorite" shows to be hosted. How did they do that you ask? I can't say due to legal reasons, but I promise you, they weren't being the easiest of people to work with. So, Diabolical Radio, much like several other podcasts, left. We weren't going to sign any contracts, and we definitely were not going to pay to host our own shows. Have you noticed that this blog hasn't been updated in almost a year? Well, with BlogTalk, there was no need to keep this blog going, all the updates could be handled there. My thought process in leaving was it should be easy to find a new host site, right? I mean, podcasts are everywhere. YES! They are everywhere, but if you look at the dates under their episodes, you'll notice that most of them are over a year old. The reason for this is they, much like BlogTalk, are trying to steal from their shows. Oh, well, back to the drawing board. Now, Diabolical Radio is going Christian Slater in Pump in the Volume with podcast. I have taken two laptops, microphones, some audio recording/editing software, and have started pre-recording shows. They will be posted on this blog as well as shared through email(the DR fanlist is a long one), Facebook, and on my file site. So, Diabolical Radio isn't going away. In fact, it's coming back sooner than later with a fantastic show and guests that I will be announcing soon. Also, look for some book reviews to be posted this weekend if not sooner. Thank you loyal listeners for not wanting this show to be dust in the wind. Help get THE VIDEO DEAD released on DVD in widescreen! !